Once you have installed JungleMail, you can open the app and start working on your first campaign. In this tutorial, you will learn about the different ways to open JungleMail and where you can find each one of them. 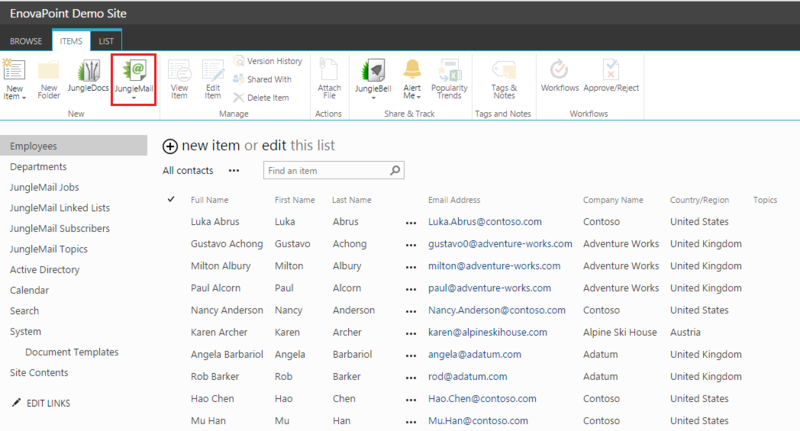 Navigate to the list which includes the recipients you want to email. Now select JungleMail from the ribbon. JungleMail will automatically include all recipients in this list to your new campaign. This way is most useful when you have a specific recipients list that you want to send a campaign to. 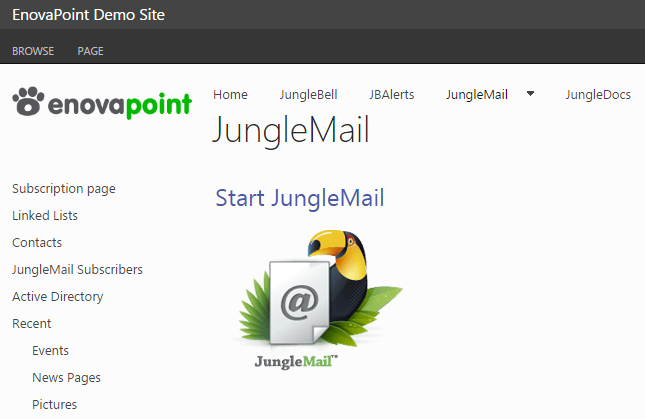 Navigate to the site collection on which JungleMail is installed and open the app directly. You can now manually select the recipients (or lists) you want to use for this campaign. 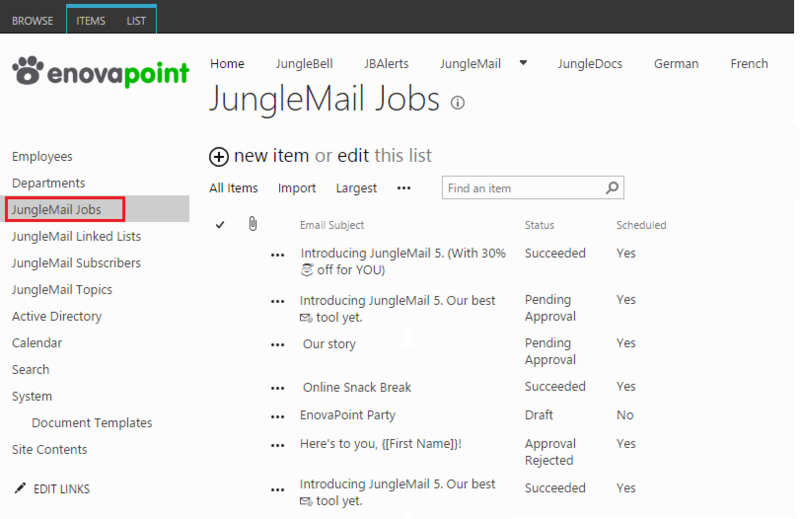 Navigate to the list view in which your JungleMail jobs are stored. Here you can simply click any of your previously created campaigns and start working straight from there. To find out more about creating and sending campaigns, click here to move on to our next tutorial.